Each emailed report contains links to mute an issue for 7 or 30 days. The full options are available via the View History link. Mute for 7 Days or 30 Days will mute the specified plugin for that number of days. 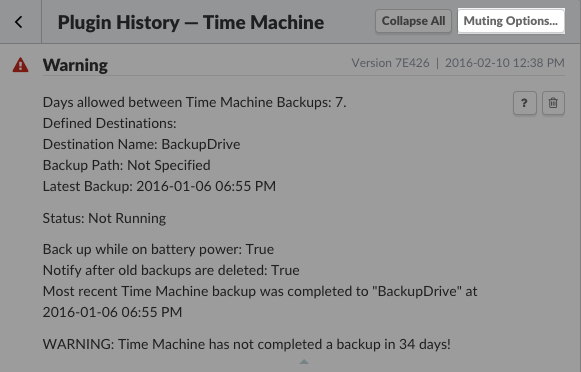 View History will take you to the Dashboard for more functionality. No warnings for this plugin on this machine will be sent. 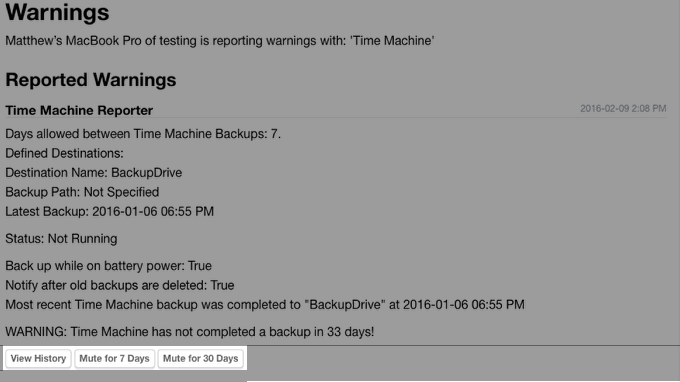 The Client Record for this computer shows as "healthy" in the server interface for this plugin. Warnings from this plugin are suppressed until a specified date. The Client Record shows an error in the server interface. This option is useful for when the correction has been scheduled or when the client is away. 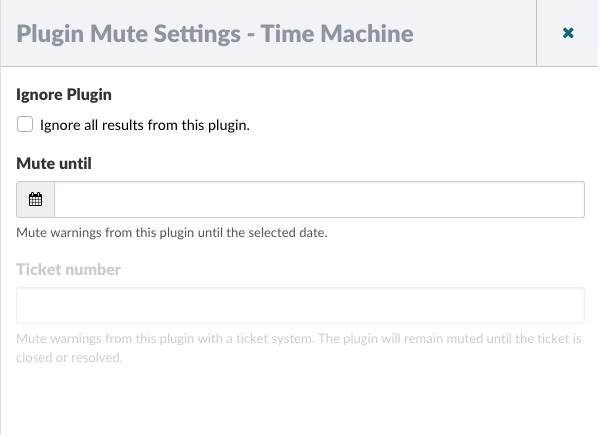 Mute with Ticket is an available option if a ticketing system integration is enabled. This option suppresses warnings from a given plugin until the ticket associated with the warning is closed or resolved.